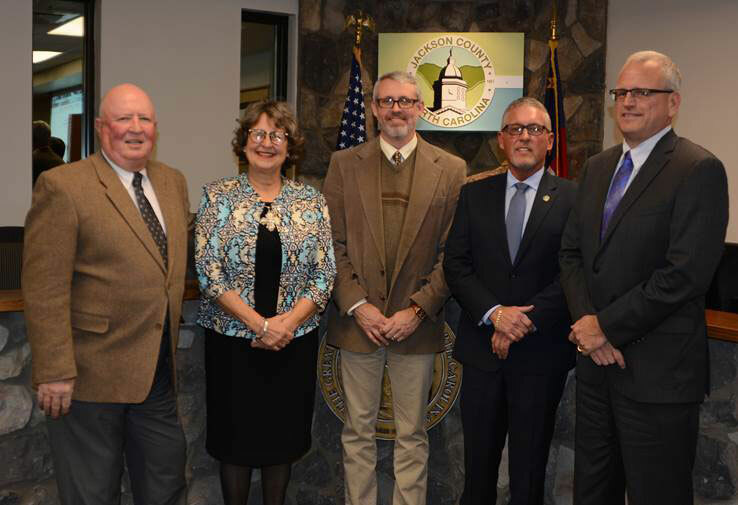 The Board of Commissioners consists of 5 members elected for staggered, 4-year terms. Each Commissioner is elected county-wide, but must reside within the boundaries of one of the 4 districts. 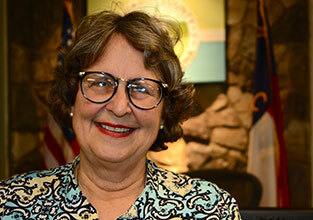 One Commissioner is elected for each district, with the exception of the Chairman. The Commissioners hold a regular meeting on the first Tuesday of the month at 6:00pm, and the third Tuesday of the month at 3:00pm, and the second Tuesday of the month at 1:00pm for the work session.They meet in the Commissioners Board Room, located on the second floor of the Jackson County Justice Center, at 401 Grindstaff Cove Road in Sylva, North Carolina.